The best spas are in the countryside. Here’s my reasoning: just knowing that beyond the doors are fragrant pine trees, beds of flowers, and that fresh country air, I can relax a little bit more during my massage. 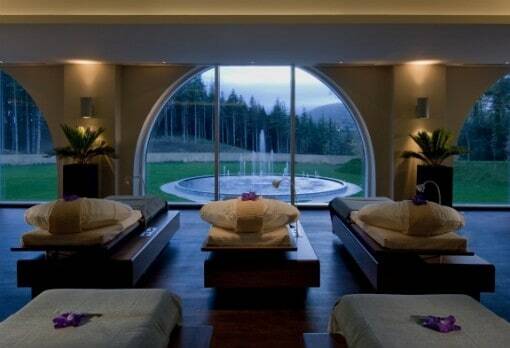 It is for this reason that the spa at the Ritz Carlton Powerscourt in County Wicklow, Ireland is so memorable. Instead of just boxing you off in a nondescript room, turning on soothing music and expecting you to relax, this five-star hotel offers spa suites with private patios and mountain views. Forcing yourself to relax and actually relaxing are two very different things, so I firmly learned at this spa. Only about 30 minutes south of Dublin, the Powerscourt Estate is located in County Wicklow, also called the Garden of Ireland. 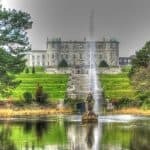 While Dublin offers many cosmopolitan attractions, from theater to dining, and even wine bars, Powerscourt offers what many travelers think of when picturing Ireland: the vibrant green countryside and incredible views. The Ritz Carlton Powerscourt is at the center of this estate. 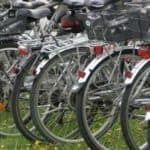 Beyond its spa, the five-star hotel has plenty more to offer including a Gordon Ramsay Restaurant (the only one in Ireland) and incredibly scenic walking trails for those visitors who want to experience the Irish countryside on foot or by bike. An active day is the perfect excuse to retreat back to the spa afterwards. During my stay at the Ritz Carlton Powerscourt, I showed up at the spa early for my treatment to savor the surroundings. From the website I had glimpsed at photographs of the Swarovski crystal-lit pool, the sauna, and the hot tub, but photographs simply can’t capture the atmosphere. Ditching my robe, I stepped into the hammam. This dark sauna, filled with steam, can be disorienting at first. Stepping inside, a few tiles sparkled like stars from a faint light at the center, providing just enough vision to find a seat. Soon the darkness is soothing, making the hammam feel entirely your own. One of the best parts of heating up is cooling down, as the spa here knows quite well. Just outside the doors to the hammam are “refreshing lifestyle showers”. My favorite one consisted of filling up an entire bucket of ice cold water and when the moment was right, pulling the lever to release a crash of cold water over my head. I have yet to feel such a rush of refreshment as I found here. 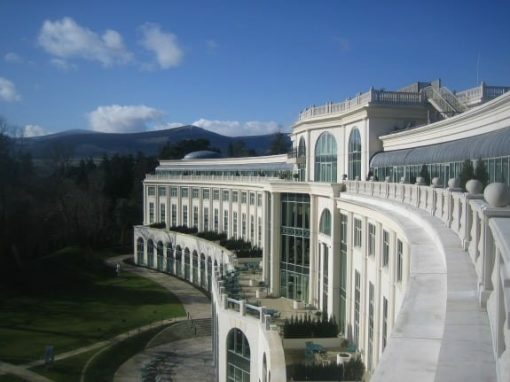 The Ritz Carlton Powerscourt offers two spa suites and 20 treatment rooms. Whenever possible, splurge for the spa suites. Guests are invited to relax for an hour before a treatment. Here it is possible to take advantage of a large soaking tub, hop into a private steam shower, or step out onto the patio with mountain views to absorb the beauty of this country setting. Right when you’re feeling truly relaxed, it will be time for your spa treatment. Before my massage began, an expert therapist asked about personal preferences, any aches and pains, and other history. The massage that followed was one of the best I have ever experienced, enhanced by the peace and quiet of the country just outside. 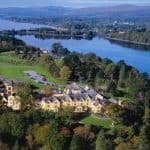 There is a long list of treatments on the spa menu at the Ritz Carlton Powerscourt, including massages, skin care, finishing touches, body treatments, and a just for men menu. The private spa suites can also be booked for couples, providing a romantic setting for an intimate bath or shower before a couple’s massage. After your treatment, there is no need to rush back to reality. 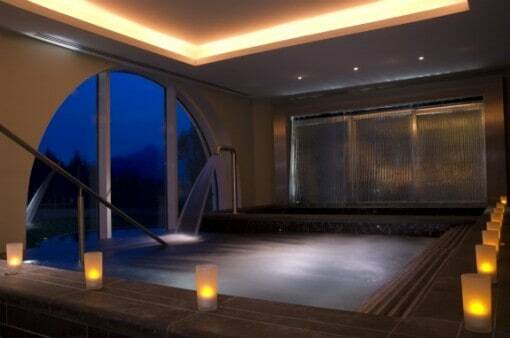 Another benefit of a spa in the countryside is space, and the Ritz Carlton Powerscourt has plenty of it. Bring a book, magazine, or iPod and relax on the loungers gazing out at the Sugar Loaf Mountain. If you’re hungry, grab a light bite at the Spa Cafe. Some guests might want to keep the relaxation going by heading right back into the hammam. There are two ways to enjoy the spa services of this hotel: to book treatments and gain access to the spa as a day spa guest, or to spend a night or two at the hotel and book a treatment along with your hotel reservation. The hotel is so beautiful, I would highly recommend staying for a night or two and dining at the in-house Gordon Ramsay Restaurant. Breakfast here is also fantastic, showcasing local Irish specialties such as smoked salmon and artisan cheese. The Ritz Carlton Powerscourt offers the best of this country setting, from views to cuisine to one particularly memorable day at the spa. The Ritz Carlton Powerscourt, Powerscourt Estate, Enniskerry, Ireland. Spa hours: open seven days a week. Indoor pool open daily from 7 a.m. to 9 p.m. Spa treatments available daily from 10 a.m. to 8 p.m.
Photo Credit: Exterior of Ritz Carlton Powerscourt from the personal collection of Jessica Colley, spa photos courtesy of the Ritz Carlton Powerscourt. 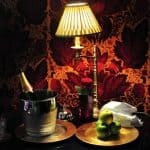 Note: The author was the guest of the Ritz Carlton Powerscourt for the purpose of a review; all opinions are her own.